As well as the exhibit celebrating the 50th anniversary of Mario Andretti’s Indy 500 victory, the Indianapolis Motor Speedway Museum has today opened a mini exhibit in honor of a trio of Roger Penske’s landmark moments. 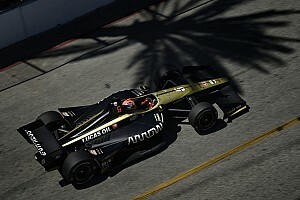 The “Team Penske’s First 500,” exhibit marks the 50th anniversary of Penske’s first entry in the Indianapolis 500, Team Penske’s 500th win in major racing competition and the “Penske sweep” of major IndyCar and NASCAR triumphs at Indianapolis Motor Speedway in 2018. In May 1969, Penske entered the Indianapolis 500 with a Lola T152 for Mark Donohue who qualified fourth and finished seventh, and just three years later he scored the team’s first win at the Speedway driving a McLaren M16B. 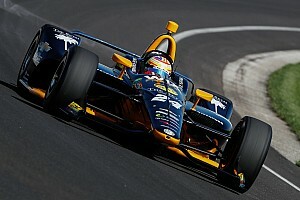 Both the Lola and McLaren will form part of the exhibition at Indy. 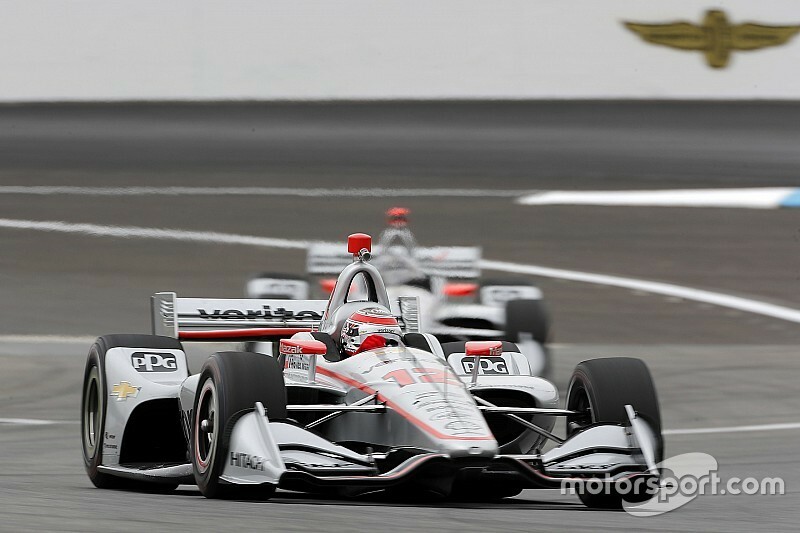 Last year, Will Power’s third win in the IndyCar Grand Prix on the IMS roadcourse marked Penske’s 200th win in Indy car racing, and two weeks later Power also scored win 201 with victory in the Indianapolis 500. 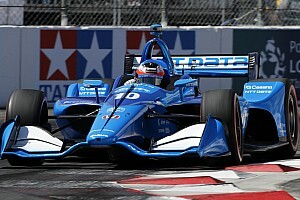 That was Penske’s 17th triumph in the Memorial Day Weekend classic, the previous 16 having been scored by Donohue, Rick Mears (4), Bobby Unser, Danny Sullivan, Al Unser, Emerson Fittipaldi, Al Unser Jr., Helio Castroneves (3), Gil de Ferran, Sam Hornish Jr. and Juan Pablo Montoya. 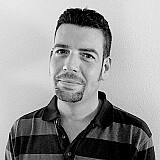 There are three team owners tied for second place in the “most Indy 500 wins” category – Lou Moore, Chip Ganassi and Michael Andretti –who have five each. Power’s #12 Dallara-Chevrolet is present in the display along with two NASCAR Cup cars. 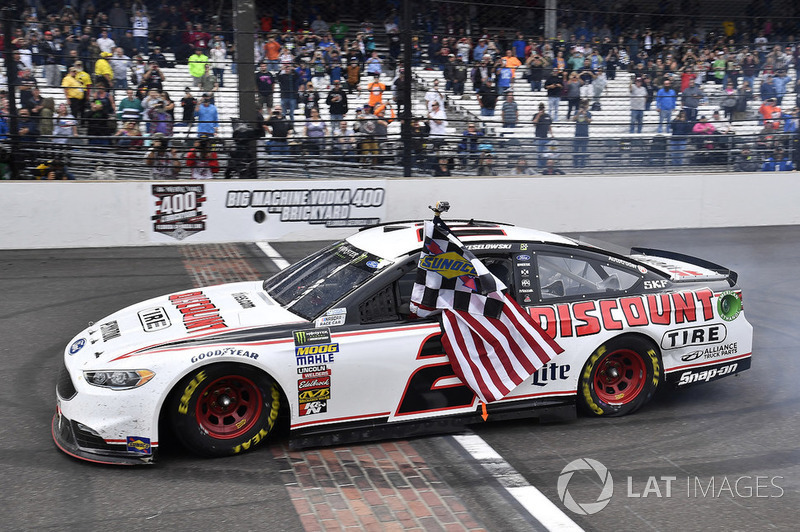 One is the #2 Ford Fusion in which Brad Keselowski gave Roger Penske his first ever Brickyard 400 victory last year, while the second is another Keselowski-driven Fusion in which he earned the team its 500th major win at Las Vegas Motor Speedway last September. Brad Keselowski, Team Penske, Ford Fusion, celebrates The Captain's first win in the Brickyard 400.